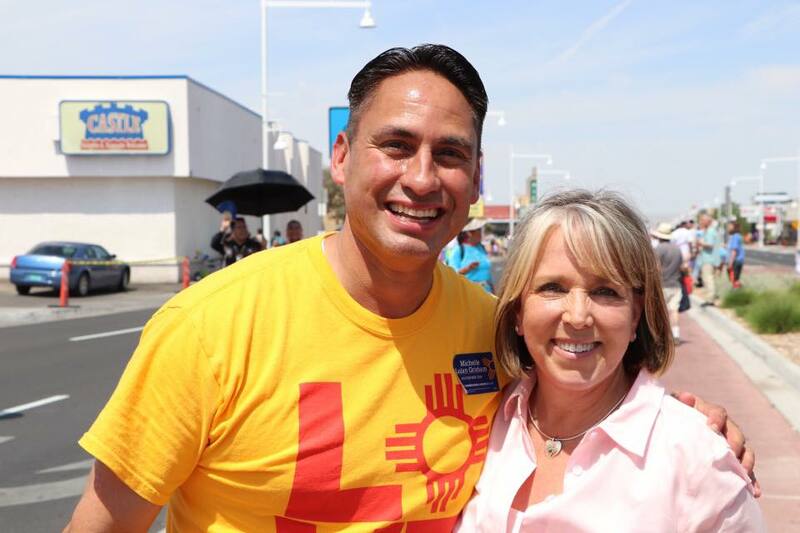 Congresswoman Michelle Lujan Grisham is a 12th-generation New Mexican who has dedicated her life to serving her community while fighting for families, seniors, and veterans, and building an economy that works for all New Mexicans. In her third term as US Congresswoman, she is currently serving as chair of the Congressional Hispanic Caucus. After graduating from the University of New Mexico’s law school, Michelle worked providing free legal services for seniors with the state bar’s lawyer referral for the elderly program. She served as director of the state agency on aging for 14 years, pioneering innovative practices now used nationwide, including undercover inspections of nursing home facilities. In 2004, Michelle was appointed Secretary of the Department of Health where she expanded the number of school-based health centers and instituted teen pregnancy prevention programs. She was elected to the Bernalillo County Commission in 2010, serving for two years before winning an open seat in New Mexico’s 1st Congressional District in 2012. Representative Lujan Grisham serves on the Budget Committee and Agriculture Committee in the U.S. House of Representatives. She has passed legislation to help local tribes, public schools and pay for training for law enforcement. 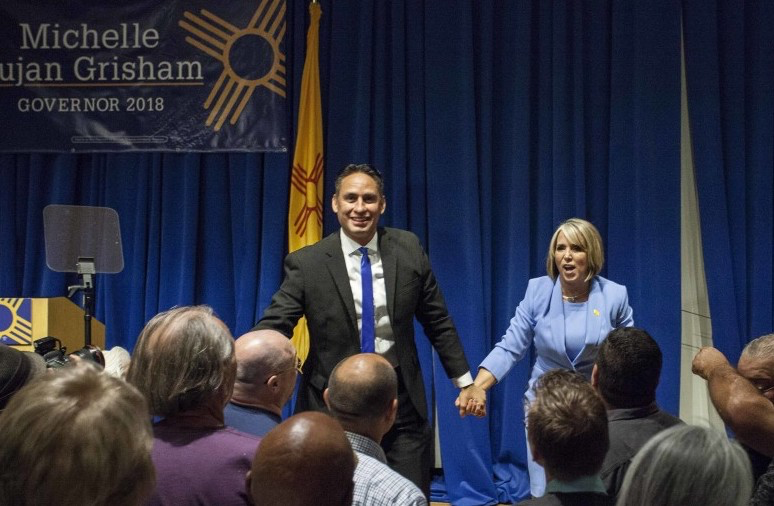 She also took on the VA to increase veterans’ access to health care, convinced the Social Security Administration to hire more judges, and held bureaucrats accountable for cleaning up a jet-fuel spill that threatened Albuquerque’s drinking water. Michelle has two daughters, Taylor and Erin; two grandchildren, Avery and Mason; and a dog, Kiwi. She is the caretaker for her mother, Sonja, who was an advocate for disabled and blind children. State Senator Howie Morales was raised in Silver City, New Mexico, and he has spent his whole life working to improve the lives of people in his community, and across our state. He has served in the Legislature on the powerful Legislative Finance Committee for 11 years. He is a proven leader who sticks up for seniors, and said “No more cuts to New Mexico’s classrooms.” He is a father of two young children, and has been a classroom teacher. As Lt. Governor, Howie Morales will protect our most vulnerable communities and local schools, and build a fair economy that works for all of us. He will work to move New Mexico forward, because a new day is on the horizon. Since 2008, Howie has been an aggressive leader for classrooms in the State Senate, fighting for his district, and to make every corner of New Mexico a better place to live. He has pushed progressive policies such as universal health care. He fought for rural and tribal economic development, and he stood up to Governor Susana Martinez at every turn, including his fight to protect senior services across the state and mental health programs. Howie is the only candidate for Lt. Governor with classroom teaching experience, and he has fought for investments in early childhood education, reform of the flawed teacher evaluation system so our kids can learn more than what’s on a standardized test, and $89 million more every year for public education by increasing the tobacco tax.